New from Colosseum, this great looking thermal waffle pullover hood features a deep V notch collar and a combination embroidered and screened front logo. 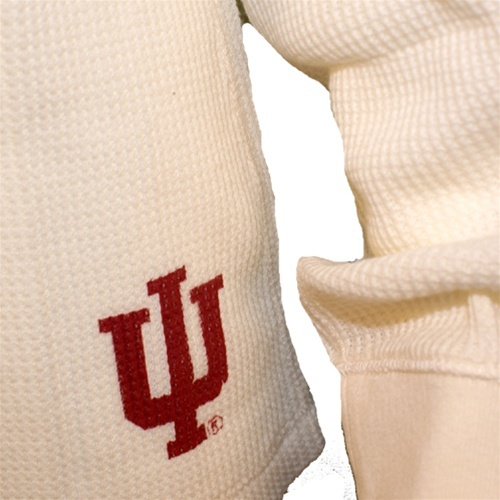 The IU logo is also screened on the bottom left hip. 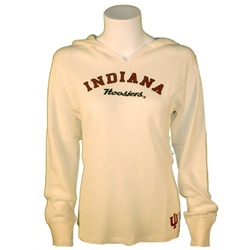 Just a comfy pullover and perfect for cooler nights. Ladies sizes only.